One of the most common questions ask by a consumer/user before buying or upgrading their PC/Desktop or Laptop is “how much memory do I need for my PC or Laptop?” “Should I get a 4GB, 8GB, 16GB of RAM or even higher? 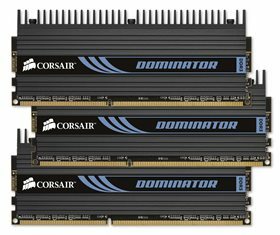 Before you go off buying a memory or upgrading your system below are some guides or tips when it comes to how much RAM or memory do you really need for your computer this 2013? I know there are a lot of questions about Memory/RAM alone, but for now let’s just stick with memory size first and later I’ll discuss the other stuffs that you need to know. 1GB of RAM is Not Enough Anymore! Most of the PC or Laptop nowadays requires that at least you have a 2GB of RAM. Older versions of Operating System will run on a 1GB of RAM or even 512MB. But Newer versions of OS requires that at least you have a 2GB of RAM to run properly. So definitely 1GB of RAM is way to low and might not be enough. 2GB of RAM or memory is really the minimum nowadays. With a 2GB of RAM you can run your OS properly. You can do most of the desktop operation like word processing, surfing the net, email, playing most of the games out there and etc. But like I said, 2GB of RAM is just the minimum. You might be able to run most of the software or application, and play most of the PC games BUT you might be (or will be) experiencing lags or slowness from your PC/Laptop. Loading times might take a little more time. You can do some minor video and audio editing and a little bit of multitasking. But as soon as you run more applications and the processes builds up, you will feel that a 2GB might not be enough anymore. 4GB of RAM is the recommended memory size, specially for a 32-bit Operating System, and it’s also more than enough for a 32-bit OS. Why? A 32-bit OS can only recognize up to 3.2GB of RAM, that is the limit. With a 4GB of RAM you can fully maximize a 32-bit operating system. Software and games will load faster compared to a 2GB of RAM. You can also run more software at the same time compared to a 2GB of RAM. You can edit videos in Adobe After Effects, edit audios or photos in Photoshop or Illustrator, run multiple desktop operations, animate 3D objects or even play games on one monitor while the other one is playing a video (if you have a dual monitor setup). But if you feel that you need more than 4GB and you (again) start to feel some slowness, then upgrade to an 8GB of RAM. But you also need to have a 64-bit Operating System. 8GB of RAM is the sweet spot specially if you are running on a 64-bit operating system. I would definitely recommend this memory size. 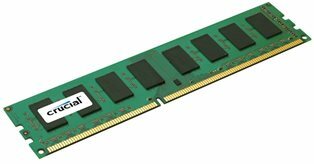 You might be thinking that an 8GB of RAM is expensive, but nowadays memory modules are cheap and you can get an 8GB of RAM for as low as $33 USD only. With an 8GB of RAM, you can already do lots of stuff and run applications simultaneously. This is also recommended if you are doing 3D rendering, CAD, 3D designs, particles, editing HD videos and for applications that requires a lot of resources. 12GB/16GB of RAM is A Lot! Again you will need a 64-bit operating system for this setup. 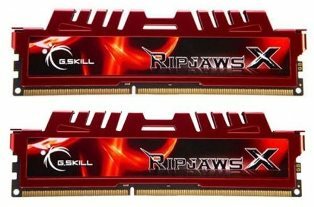 Most PC Enthusiast and Extreme users would settle for a 12GB or 16GB of RAM. 12GB of RAM are usually for Intel X79 systems with triple channel memory. A 24/7 Dedicated Server might also be needing this size depending on the type of dedicated server and the application it runs, or the number of users. But honestly, a 12GB or 16GB of RAM for gaming is overkill. You wouldn’t maximize that kind of size. 8GB alone is more than enough for gaming. But if you are running demanding applications like Adobe After Effects, Premiere Pro and other graphics/video software side by side, you might be able to put the 16GB of RAM into good use. Also if you think your system consumes around 8GB of RAM only, yet you have a 16GB of RAM installed, you can also convert the excess into RAM Drives, to make your system go even faster. What are RAM Drives or RAM Disk and how to use it will be discussed in another article or guide. Honestly 32GB of RAM is not for your typical consumer. This kind of memory size is mostly used in a server or a dedicated server setup, or for systems with dual processors (physically). And I don’t think that you really need this much, unless you are building a specific system for a particular use. How Much Memory Do I Need for Windows 7 or 8? The guide I gave you is very general. If you are going to ask a question like “how much memory for I need for Windows 7 or 8, for an Ivy Bridge or Haswell setup, or even how much RAM do I need for my Laptop”, my guide above will most probably be same. For gaming, I would recommend a 4GB of RAM for a 32-bit of operating system and 8GB of RAM for a 64-bit operating system. But even if you are running on a 64-bit OS, a 4GB of RAM is really enough to let you enjoy all the games available in the market. You just need a fast graphics card to enjoy the games, specially games like Crysis 3, Battle Field 3 or Skyrim. 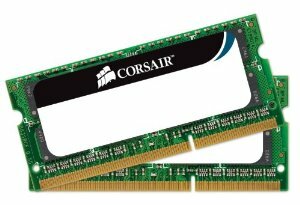 Hope this guide helped you, and remember DDR3 RAMs are cheap nowadays. 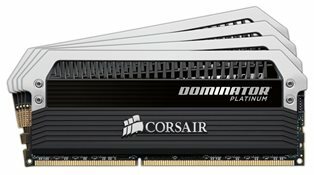 Some companies or stores might charge you an arm and a leg just for adding 2GB or 4GB of RAM, when in fact you can get a 2GB of RAM for as low as $10 USD, and a 4GB DRR3 RAM for as $19 USD. Do I Really Need A Quad Core Processor for my Desktop PC?